This is an exhibition of considerable merit. 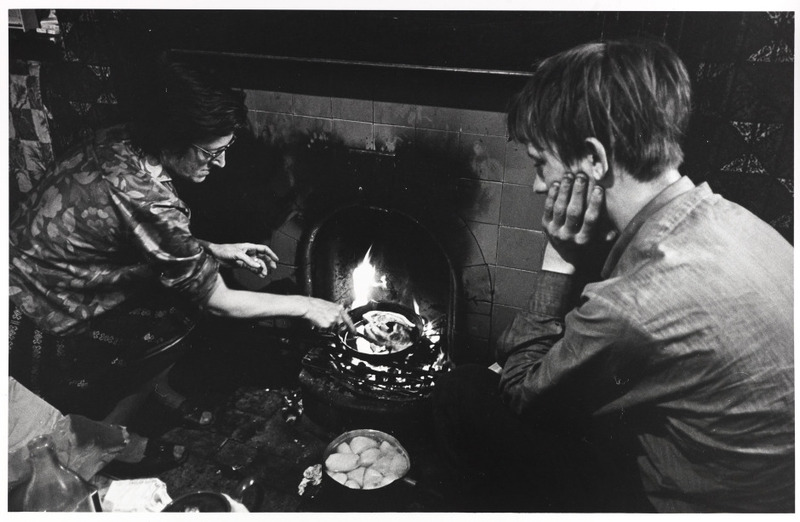 It focuses on the work of Nick Hedges, who was commissioned by the UK housing charity, Shelter, in 1968 to record the deprivation and homelessness prevalent in Britain almost 50 years ago. Toxteth, Liverpool, March 1969: Mr & Mrs O lived with their three children on the first floor of his mother’s condemned house. Mr O was unemployed and had been forced to give up his new council flat in Kirkby because he couldn’t afford the rent. They had lived in rented rooms, but the landlord had harassed Mrs O and threatened the children, so they moved to his mother’s house. The council withdrew their offer of re-housing Mr O’s mother until Mr O and his family moved out. Many images display the squalor and lack of facilities in the “homes” and I found it incredible that families could exist in such damp, mouldy, neglected, filthy rooms with no washing facilities and their occupants having to share a toilet. Landlords were not averse to cramming two or three families into one terraced house. Houses were often neglected by landlords so that they could maximise their income. 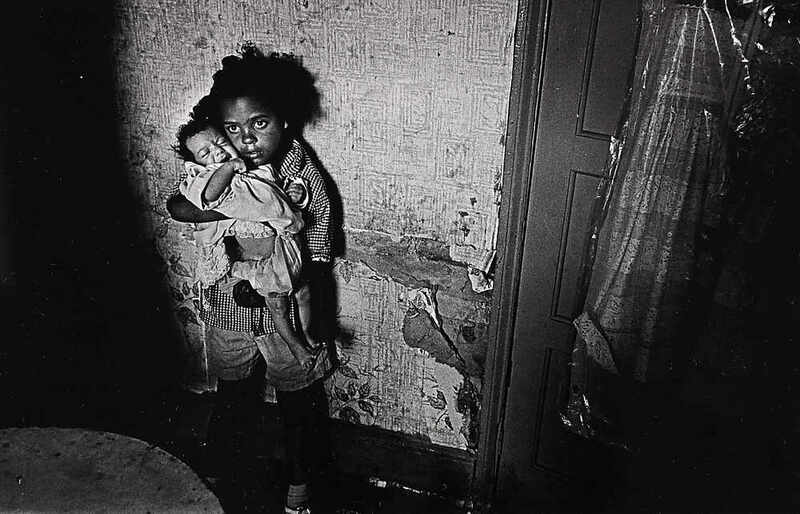 Nick’s gritty, grainy black and white images helped Shelter, then a relatively new charity, highlight the deprived nature of so many inner city residents. With the addition of Nick’s notes, I found the whole experience both moving and shocking. I can’t recommend this exhibition highly enough. There’s not a lot of time left to get to see this it but if you’re in London and have an hour or so to spare do pop along to the Science Museum and have a look. While acknowledging the wonderful work Shelter has done to improve housing, it must be stated that despite regeneration, over three million people turn to the charity for help every year. There is still poor housing, rogue landlords, high purchase and rental costs, and the flaunting of housing legislation. Poverty still exists here in the United Kingdom. You can find a link to Shelter’s home page in the first paragraph of this review. 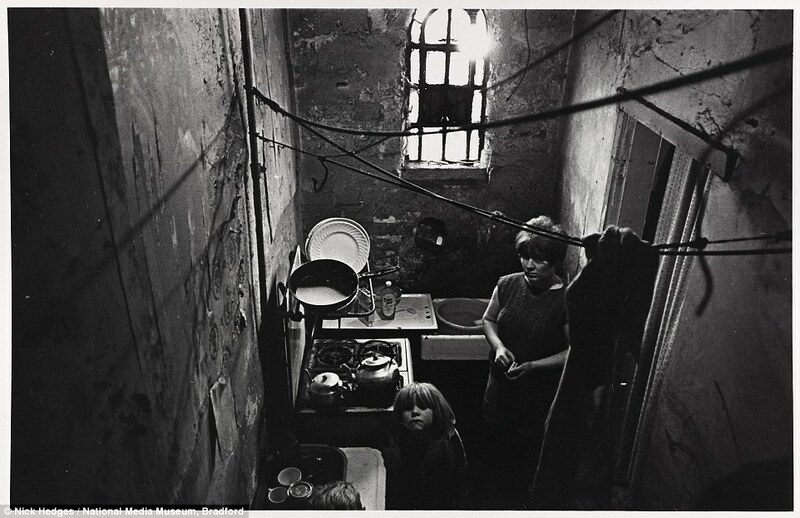 The images were donated to the National Media Museum in Bradford in 1983 by Nick Hedges. 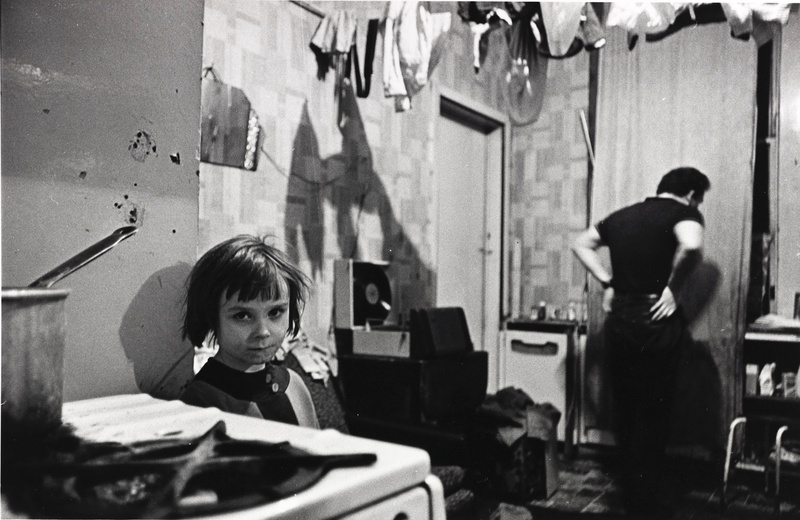 The work of Nick Hedges always moves me. Always. I’ve been in many a house like this either just before but mainly just after people had moved out – I was involved in construction in Birmingham in the 60’s. And many of my relatives lived in or near to similar houses when I visited as a kid in the 50’s. You don’t see this when you are very young. You are blind to it, thankfully. I still remember the smell of the grime, damp and grinding poverty. But, as I got older it bothered me a lot. Sad memories of sad times. However for some they are not memories but daily life. Previous PostPrevious A Review of ‘Only in England: Photographs by Tony Ray-Jones and Martin Parr’.